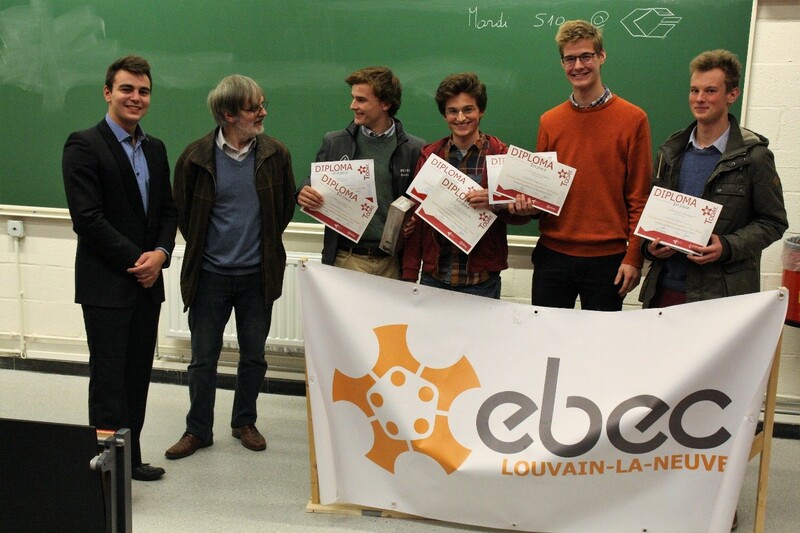 Last semester, two weeks after the first round of the EBEC challenge preliminaries, took place the second round. We also had 48 competitors who had come to win a ticket to the final local round of EBEC. This time, the challenges were obviously different as we had other partners (Automatic Systems, Ciseo, The Vex and Brico). 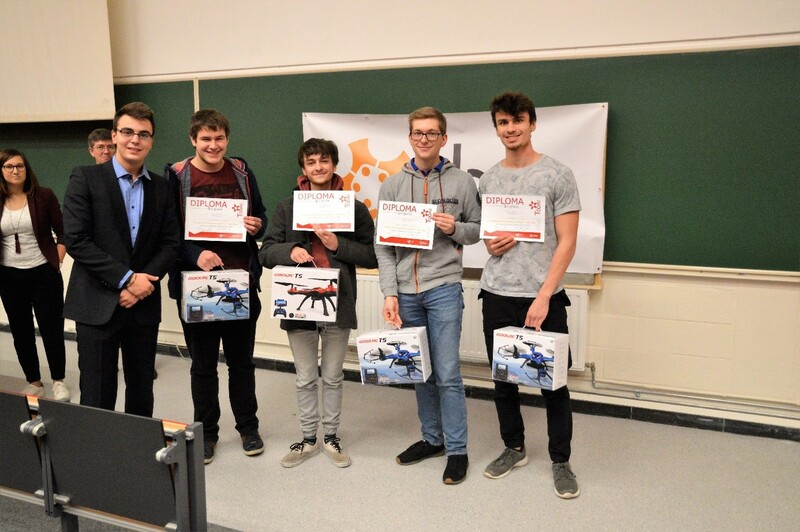 There was around 500€ of prices for the winners (1st, 2nd et 3rd ranking). 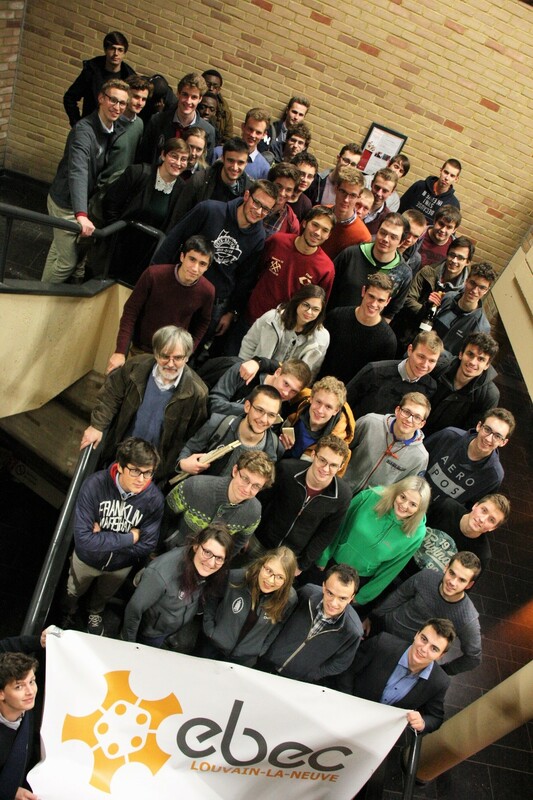 The ranking was chosen by a jury composed by partners and university’s staff members to combine different opinions. The morning was devoted to the Case-Study which was proposed by Ciseo. The task was about medical device. More precisely, the participants had to come up with innovative ideas about “how to help a nurse at home on the robotic point of view”. Even though the challenge was hard, the students have offered us interesting solutions. By example, a robot at home which tells the nurse if there is a problem, a device that can prescribe a medication, or just give it to the patient so the nurse does not have to move just for that and so on. The winning teams were: JAAM, ENGENEEKING and USA-XAX. Then, after a break for dinner, relaxation and the demonstration of The Vex, began the second part of the competition: The Team Design, proposed by Automatic Systems. The theme was “Stop the bike “. As Automatic Systems provides barriers around the entire world, the context for this test was the 24-hour bike ride of Louvain-La-Neuve. The teams had to create a barrier able to withstand to “our bike” in action. With only a little bit of raw materials, the teams managed to build solutions that met the criteria. The solutions were again well thought and surprised us! The winning teams were: INGENEEKING, FAT’N’CURIOUS and CLEOPATRE. That hard and intense day was completed around the traditional drink where participants and organizers could talk and exchange their experience et give us a feedback.